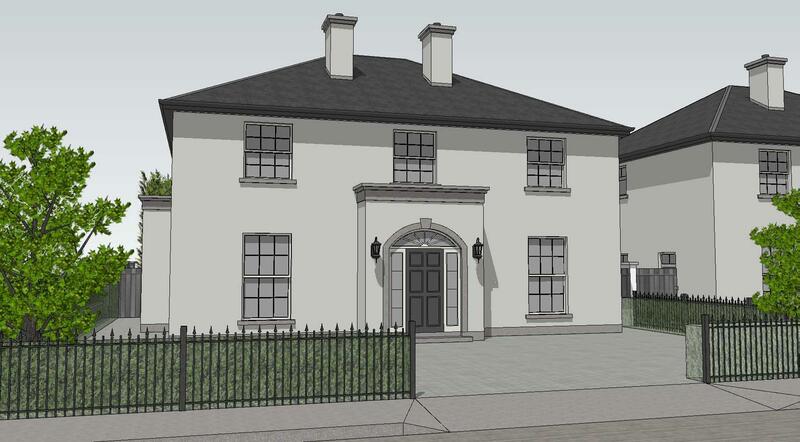 An exclusive luxury development of detached homes located in the heart of Ratoath. 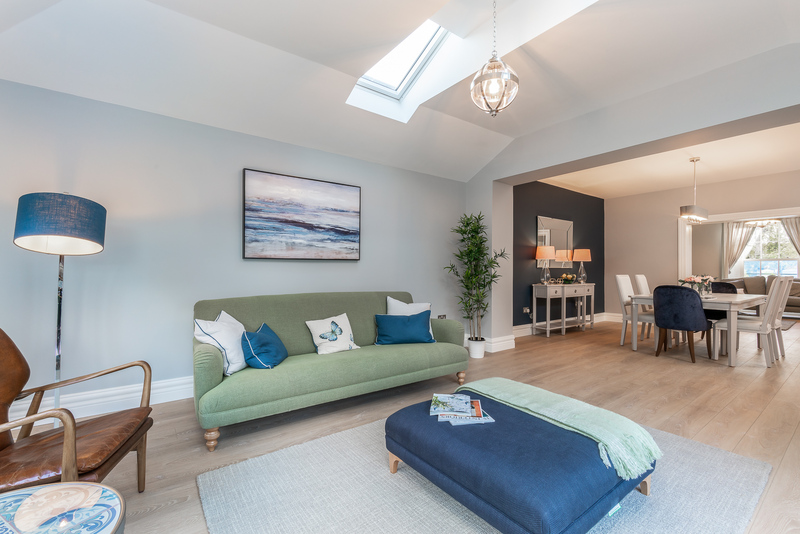 These elegant family homes are beautifully positioned to take full advantage of the scenic location – an address you will be proud to call home. 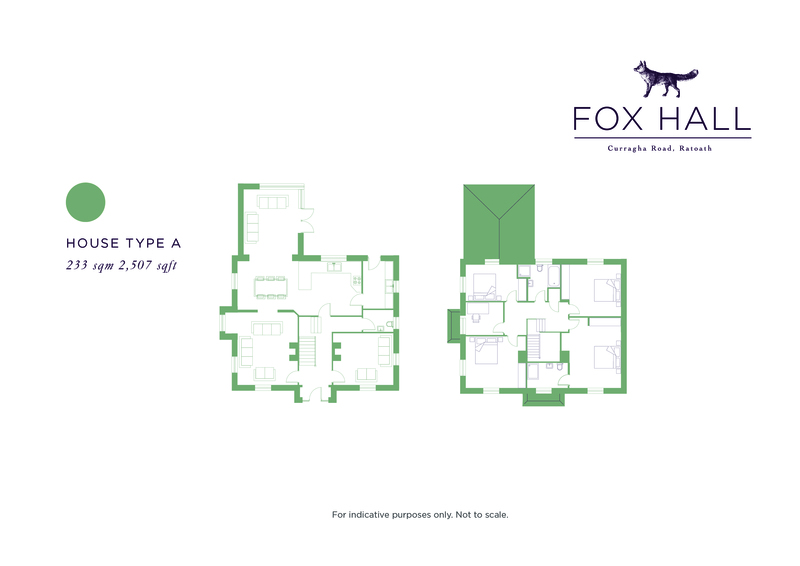 As you would expect from a development of this quality, Fox Hall emulates the splendid grandeur of the Georgian era – proof that good design never goes out of style. 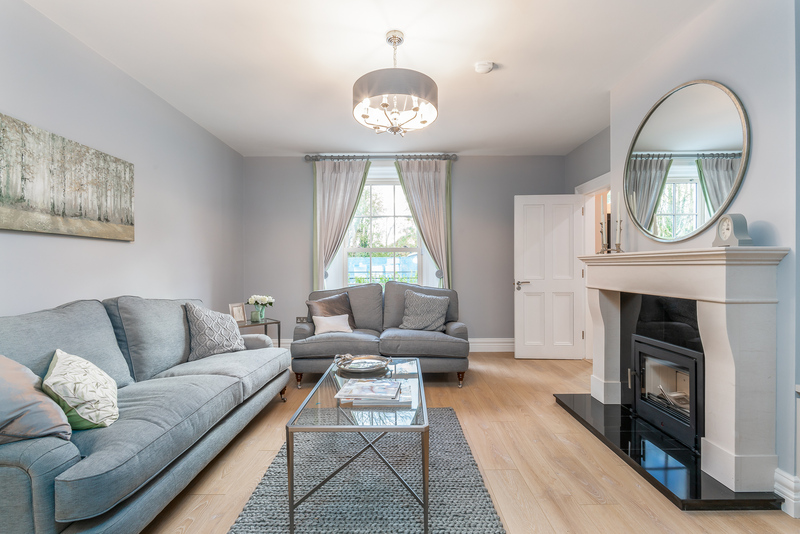 Each home has been carefully designed and built to exceptional standards incorporating all modern construction and energy efficient technologies, while still retaining the classical charm of a premium home in the country. 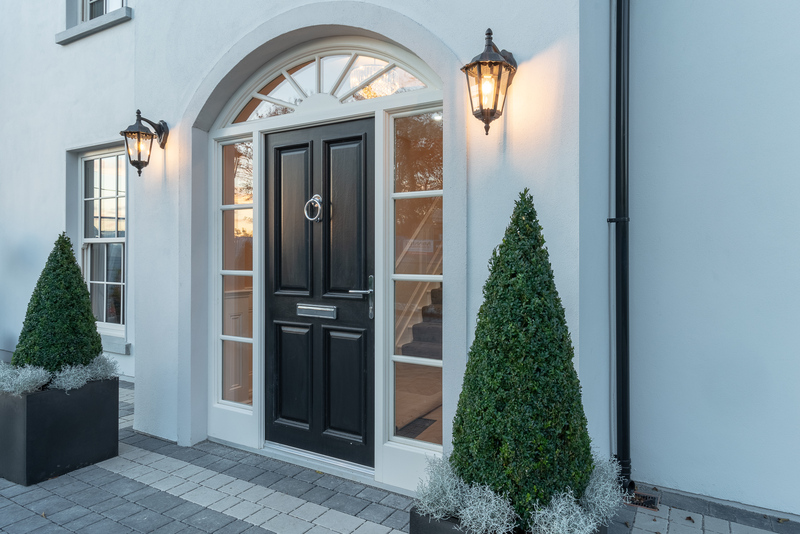 The distinctive double fronted homes in Fox Hall exemplify the skilled craftsmanship that combines understated sophistication with intelligent architectural design. 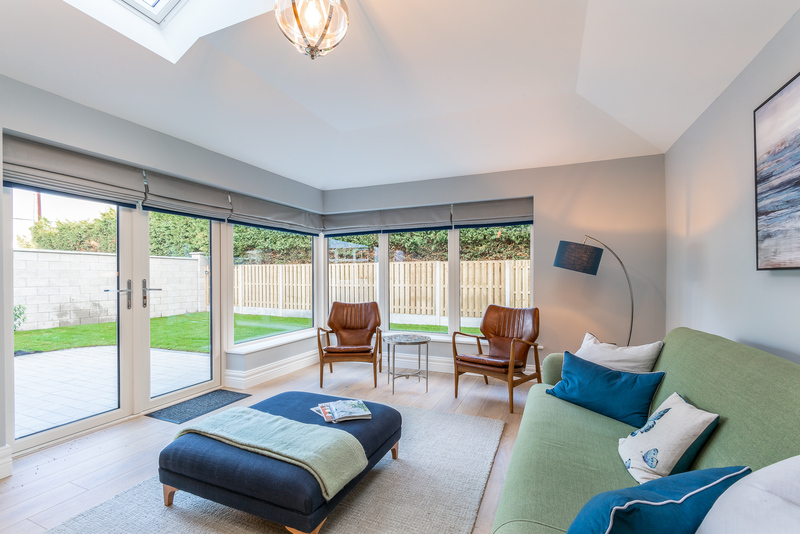 The grand proportions seamlessly maximise light and space taking into consideration the dynamics of modern family life to provide adaptable and comfortable homes. 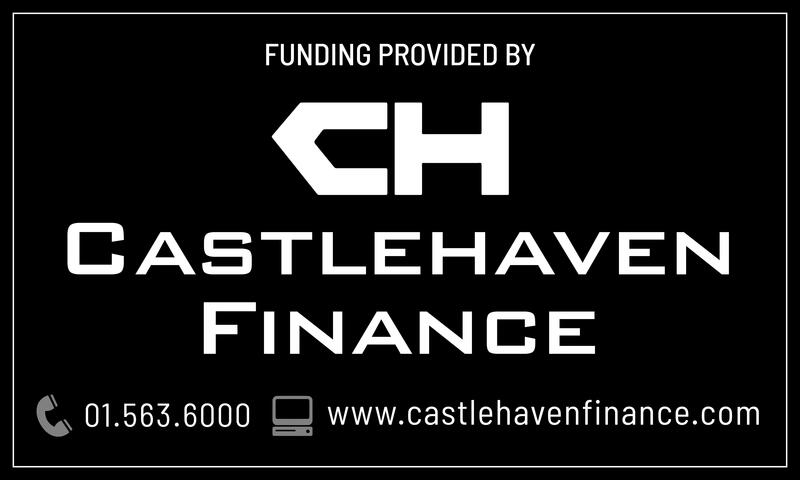 Funded by Castlehaven Finance. 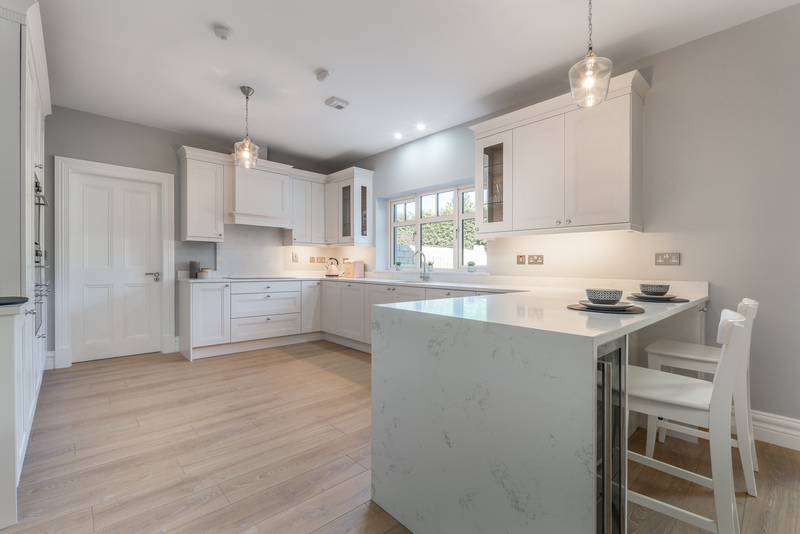 Contemporary hand painted kitchens by BeSpace in Farrow and Ball ‘Wevet’ supplied as standard with soft closing kitchen doors and drawers. Solid stone counter top, upstands and splashback supplied as standard to kitchens. 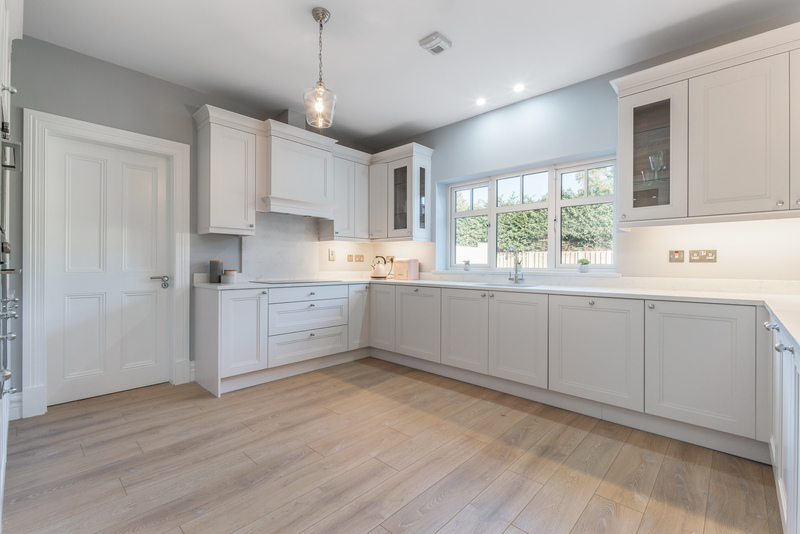 Branded Kitchen and Utility appliances supplied as standard. 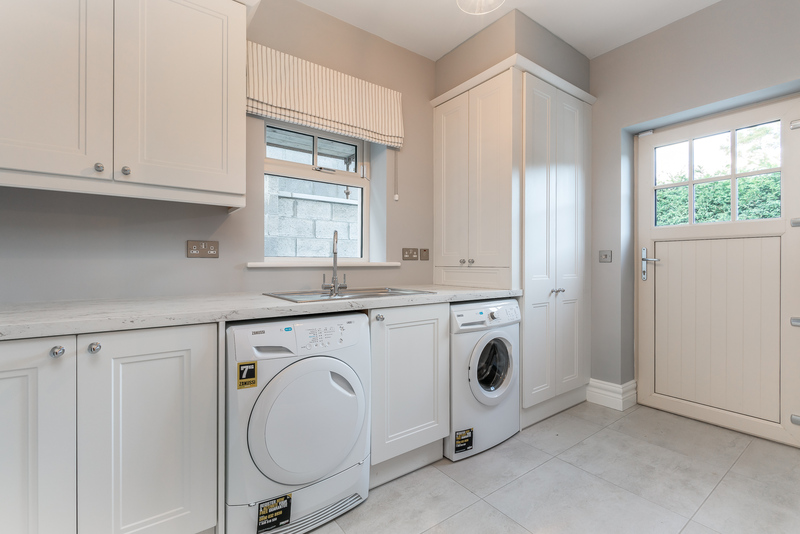 Fitted utility units with complementary high quality laminate counter tops incorporating mechanical heat pump cabinet and additional counter storage with soft close doors and drawers. Plumbed for washing machine and dryer. 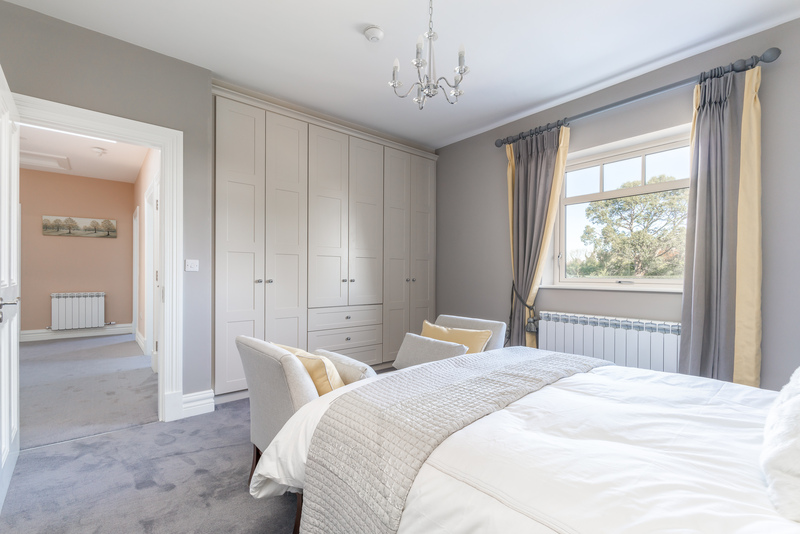 Fitted wardrobes in all double bedrooms as standard supplied by BeSpace in ‘Skimming Shell’ colour range with ‘Albridge’ design with extensive hanging rails and shelving. 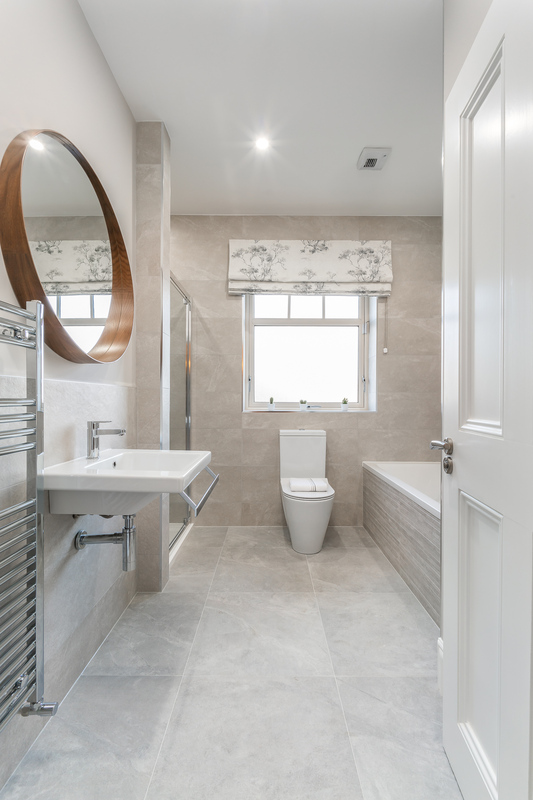 Stylish Italian porcelain sanitary ware with heated chrome towel rails and high quality fittings to all bathrooms. 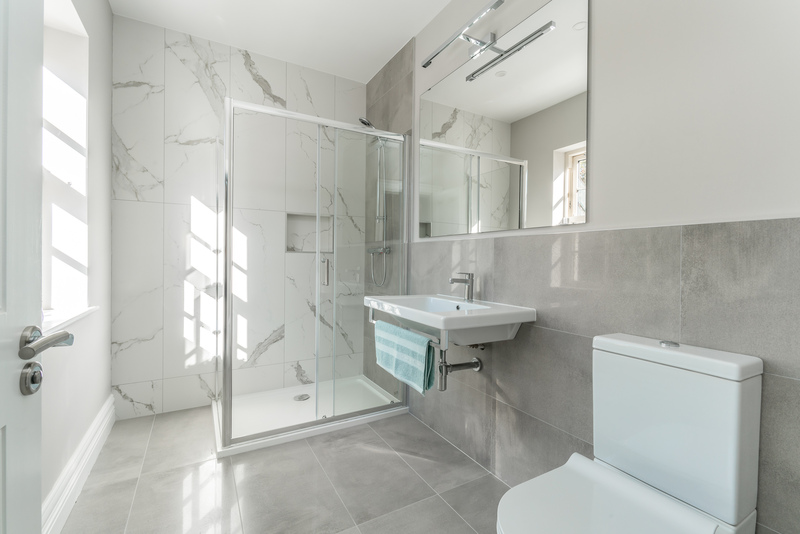 Wet areas are tiled to an exceptional standard with superior porcelain tiling as per show house. Contemporary shower enclosures in family bathroom and en-suites with raindrop shower heads and thermostatic bar shower control values. Feature 9ft ceiling height downstairs. 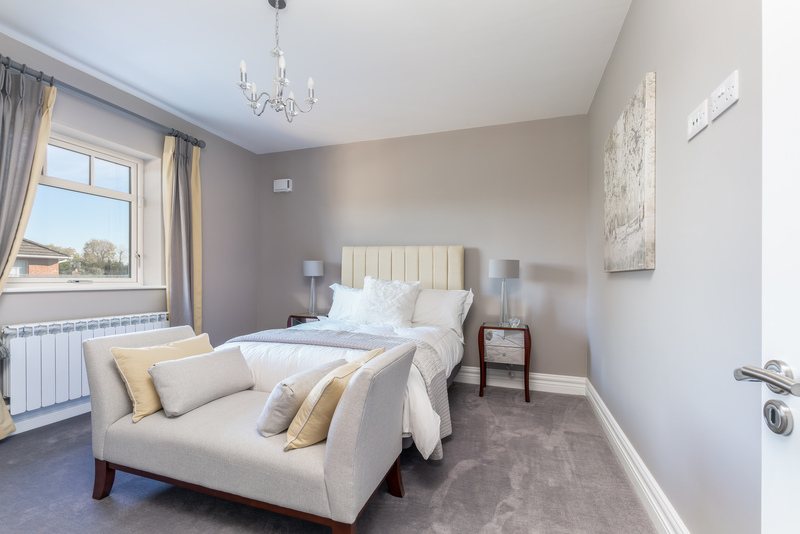 All internal walls painted in neutral shades as standard. Ceilings painted white as standard. 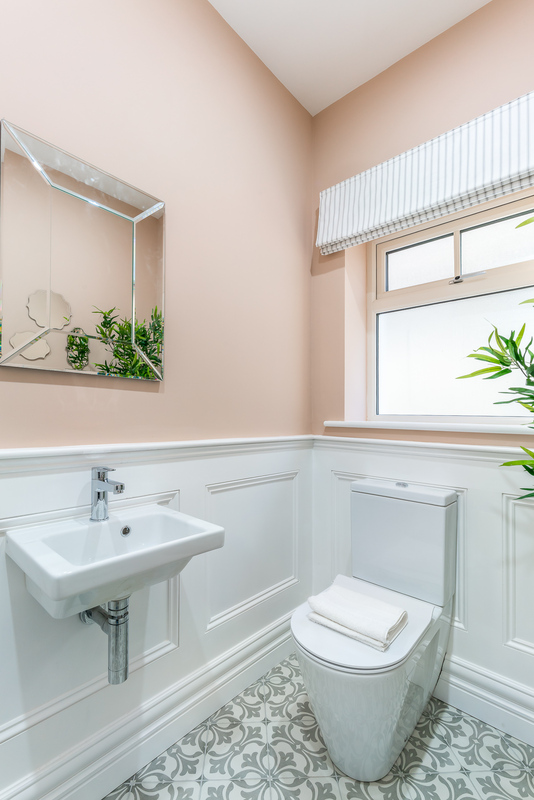 Elegant white painted wall panelling to entrance hallway, guest W.C. on ground floor and staircase. 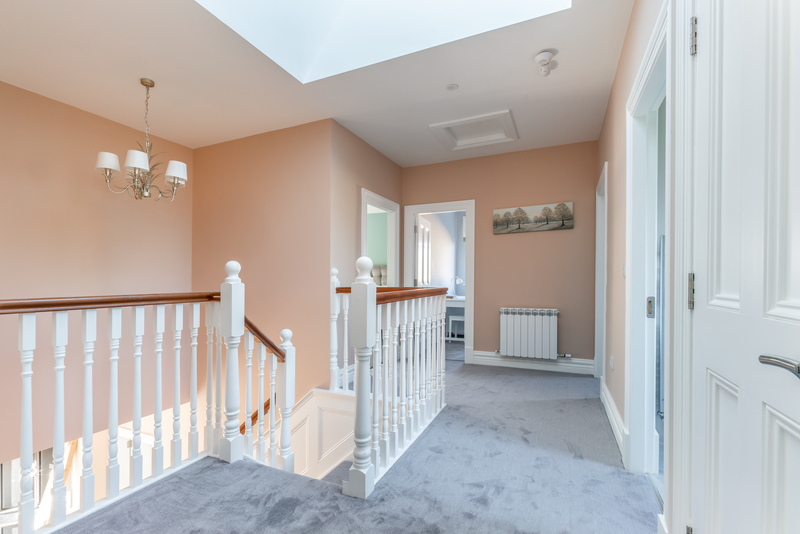 High quality white deal staircase and balustrade with clear varnished hardwood handrail. 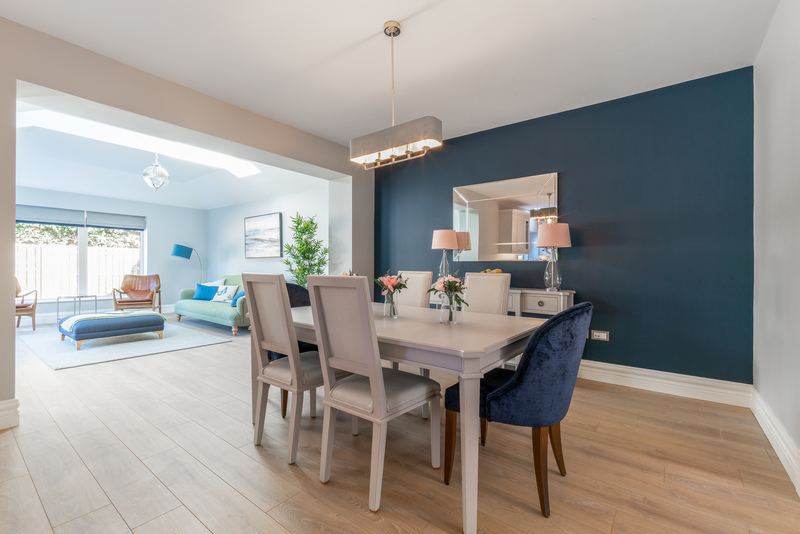 Feature concealed sliding doors between living room and dining area. Chrome lever handles and thumb turn ironmongery as standard. Moulded skirting and 100mm moulded architrave to ground & first floor painted white. 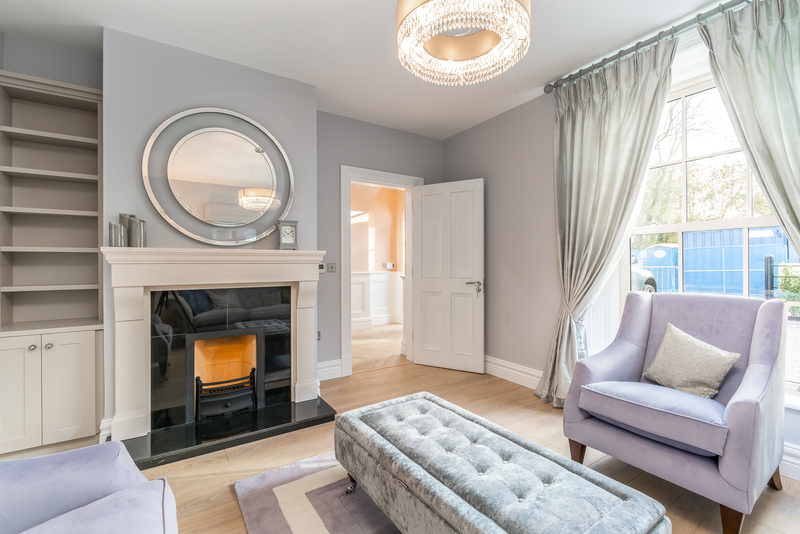 White painted moulded timber panelling to inner sash window reveals on ground floor as standard. Locking system to all external windows and doors supplied as standard. Safety restrictors provided on upper floor windows supplied as standard. 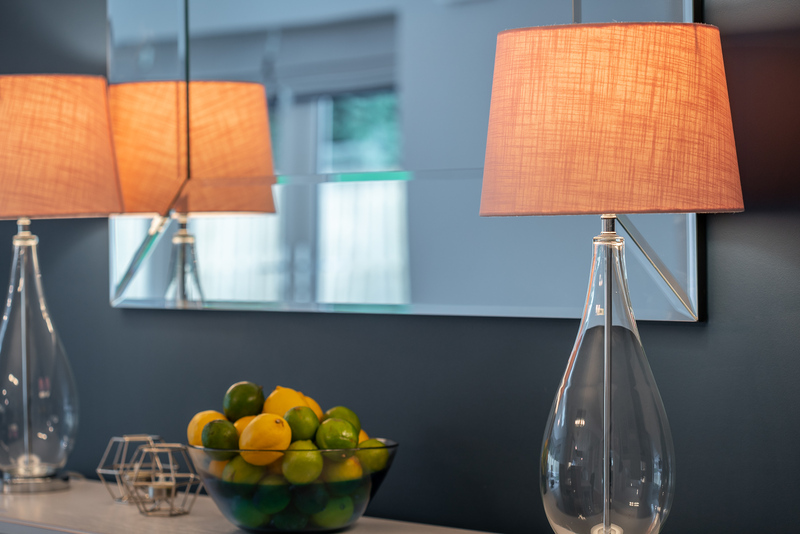 Generous electrical specification throughout to include LED spot lights and pendant light fittings. Wired for alarm. Wired for highspeed broadband (Cat 5). Mains powered smoke detectors supplied as standard. TV connection points supplied as standard. 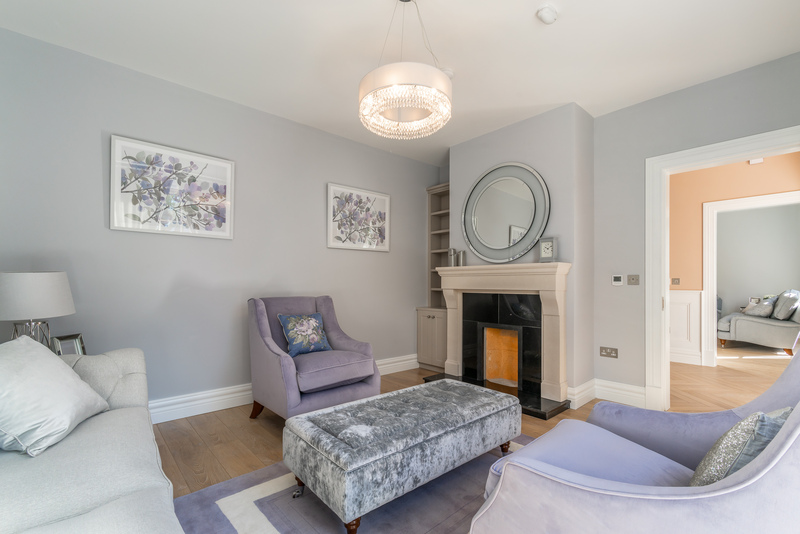 Feature built-in cassette stove in living room and open fireplace in sitting room both complete with Limestone mantlepiece, surround and granite hearth. 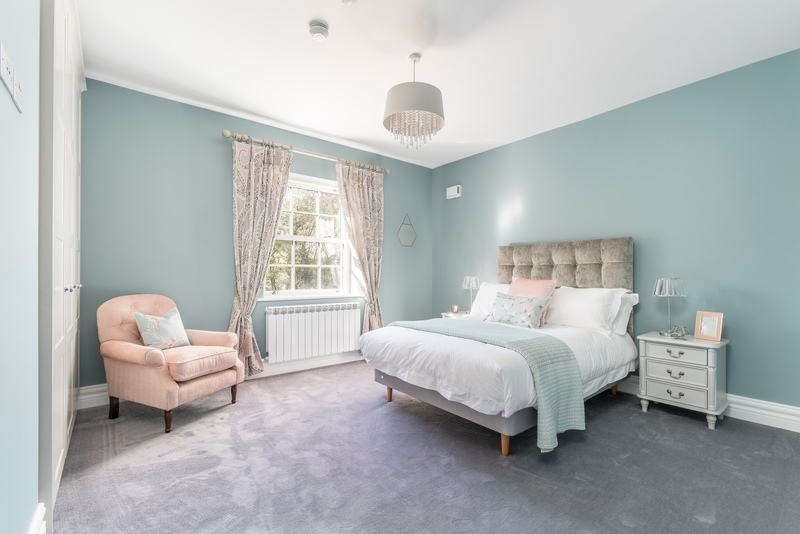 High specification, energy efficient ‘Daiken’ heat pumps including outdoor compressor and condenser unit linked to under floor heating system to ground floor, indoor domestic hot water cylinder and lightweight, compact energy efficient aluminium radiators at first floor. High degree of insulation and energy saving technologies providing superior levels of energy efficiency and sustainability. BER Energy Rating A2/A3. low height metal railing to the front. accessories. Multi-locking system to French doors and to front and rear doors. Twin external wall mounted lamps either side of the front door and wall mounted light to the rear. Domestic Control Ventilation System. 12 Year Global Structural Warranty. Carbon monoxide detection alarm supplied as standard. 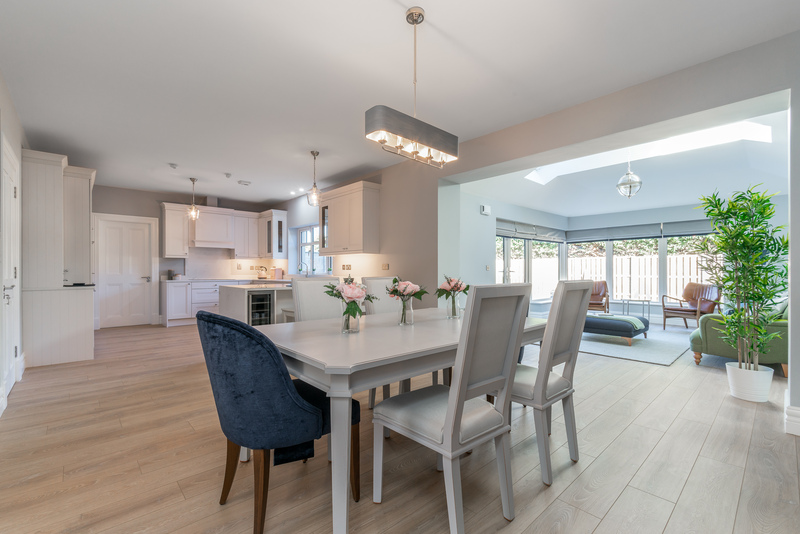 Ratoath is a thriving cosmopolitan town boasting a superb mix of specialised boutiques, bars, cafés and casual dining restaurants within walking distance of Fox Hall. 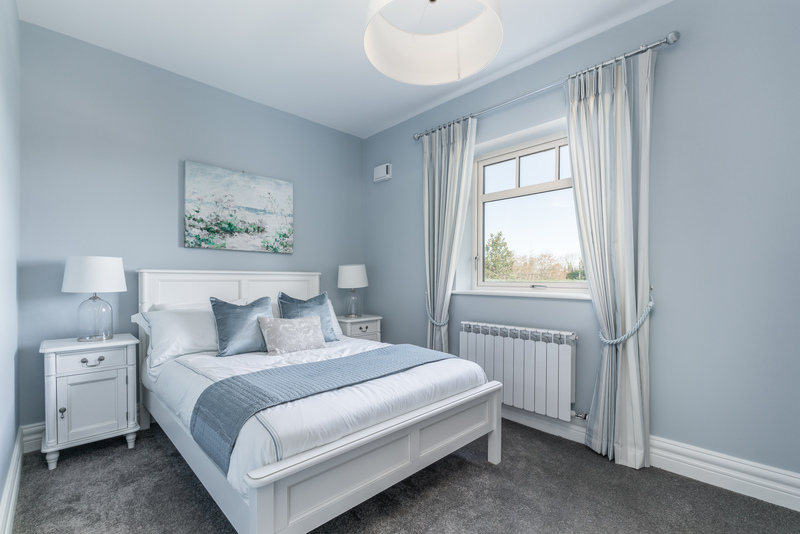 There is something for everyone in this family orientated community with a selection of excellent primary schools, a well-regarded secondary school and a choice of childcare facilities available. A diverse range of recreational and leisure facilities are all within easy access including The Venue Theatre in the town centre, Fairyhouse Racecourse, Avoca, Blanchardstown Shopping Centre, Rathbeggan Lakes and not forgetting Tayto Park. Sports enthusiasts will be impressed with the multitude of local activities including Tennis Club, GAA Club, Rugby Club, Ratoath Harps Soccer Club and Jamestown Sports Campus. 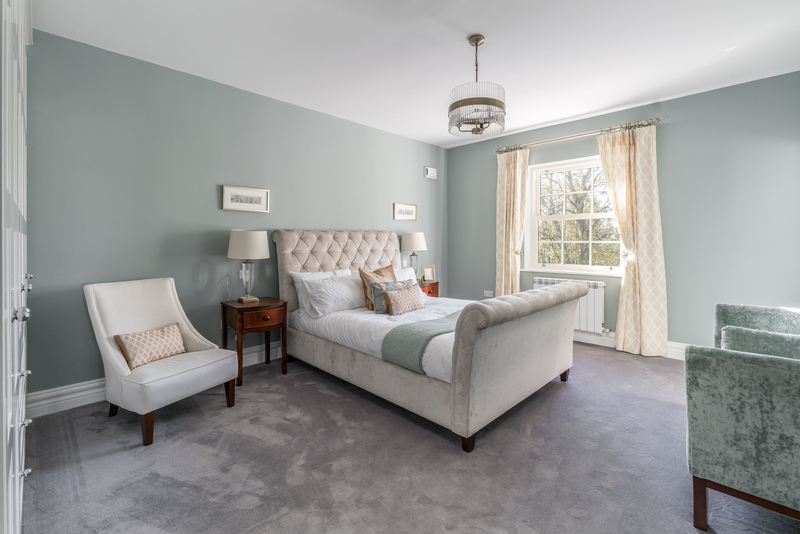 Nearby golf clubs include Ashbourne, Blackbush and Killeen Castle. 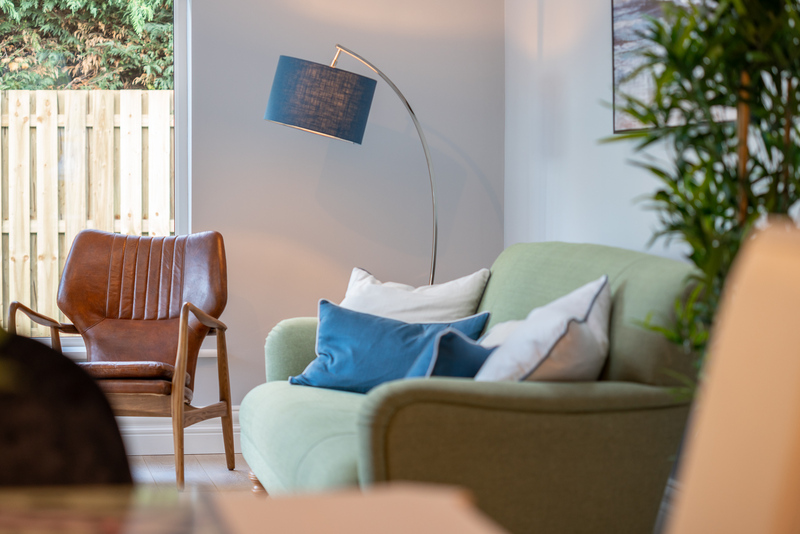 The scenic location offers the best of country living and yet commuters have excellent access to Dublin City Centre, Dublin Airport and beyond. 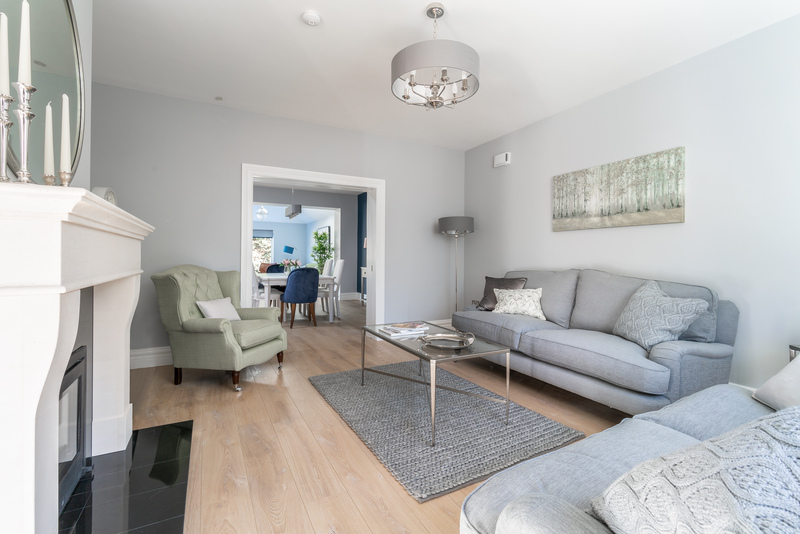 The M2/M3 are within 10 minutes’ drive and Ratoath is excellently served by public transport with frequent bus services to a number of routes and the M3 Parkway train station a mere 15 minute drive. Ratoath is also perfectly positioned to take advantage of recent economic developments including the new Facebook datacentre, Shire Ireland manufacturing facility and the technology and business parks in Blanchardstown. From M2- Taking the Ashbourne exit from the M2. At the roundabout, take the first exit, signposted Ratoath/ R125 and continue straight. At the next roundabout, continue straight through (3rd exit) to remain on the R125. Turn right just after The Auld Stand pub onto Glebe Lane. At the set of traffic lights, turn right onto the R155, Curragha Road. Continue straight for approx. 800m. Fox Hall will be on the right hand side with temporary car parking on the left hand side. From M3 - Taking the Ratoath exit off the M3. Follow road signs for Ratoath/ Fairyhouse onto the Fairyhouse Road/ R155. Follow this road past Fairyhouse Racecourse and into Ratoath. Continue straight to the roundabout (directly after Tesco Express). Take the 3rd exit. At the next junction (Supervalu on the left hand side) turn right and take an immediate left. Continue straight through the next set of lights onto the R155/ Curragha Road. Fox Hall is approx. 800m on the right hand side with temporary car parking on the left hand side. 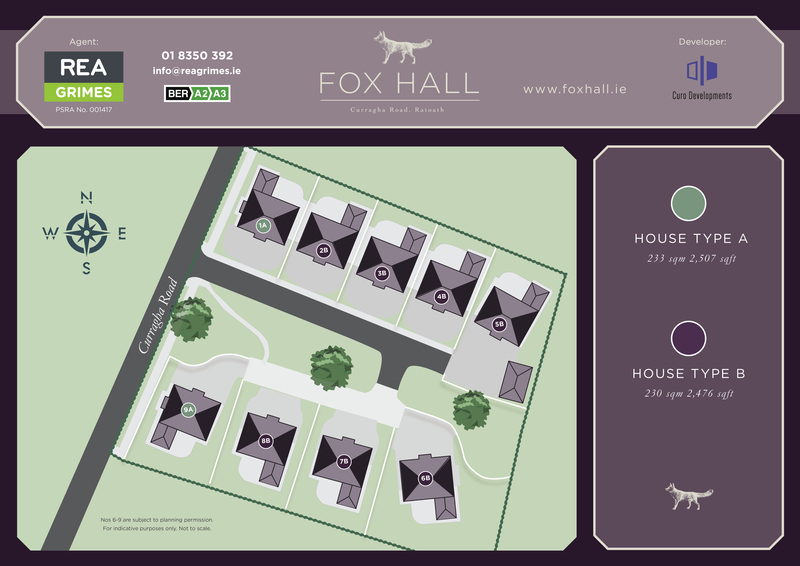 Interested in 1 Fox Hall, Curragha Road?